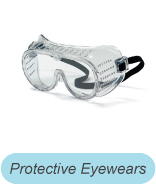 Intensafe Sdn Bhd is a personal protective equipment and sophisticated safety products supplier company. Our main office is located in Kuala Lumpur (KL), Malaysia. We supply a wide range of safety equipment such as fall protection, foot protection, hand protection, head protection, hearing protection, protective clothing, protective eye wears, etc. Shall you have any further enquiries, please feel free to contact us.